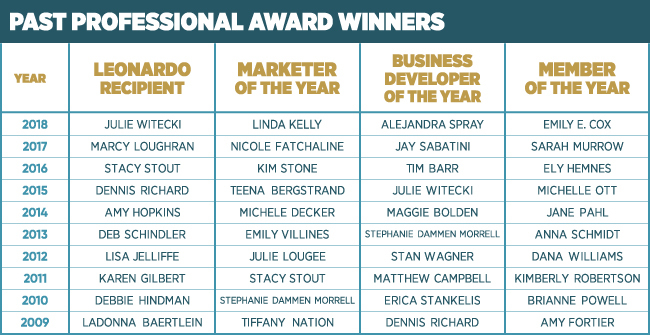 Thank you for another great Marketing Excellence Awards! 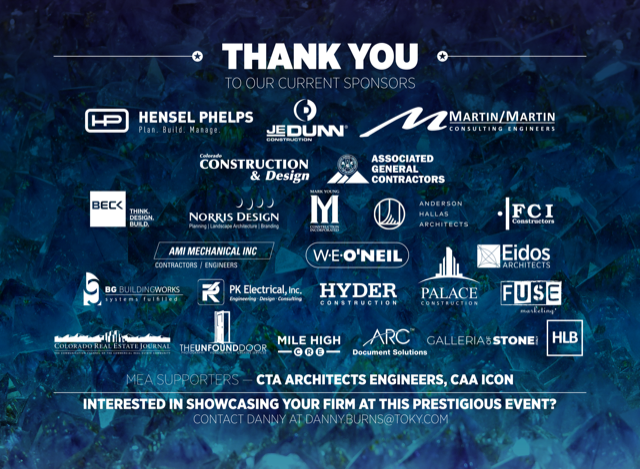 Thank you for helping us celebrate the outstanding achievements of Colorado’s top AEC firms and professionals at our Marketing Excellence Awards. Catch up on all the 2019 winners below. We'll see you next year! 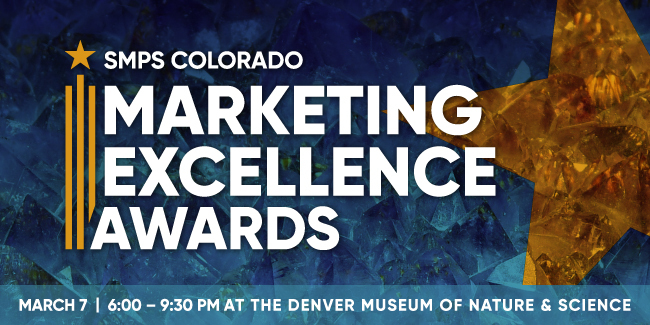 SMPS Colorado hosts the annual Marketing Excellence Awards competition to recognize excellence in marketing communications by professional services firms in the design and construction industry. The 2019 competition is open to both SMPS members and nonmembers employed in Colorado. Entries are no longer being accepted for the 2019 Awards event. Photos and/or video will be taken at the event. By taking part in the event you grant SMPS Colorado full rights to use the images resulting from the photography/video filming, and any reproductions or adaptations of the images for fundraising, publicity or other purposes to help achieve the group's aims. This might include (but is not limited to), the right to use them in their printed and online publicly, social media, press releases and funding applications. If you do not wish to be photographed please inform an event organizer.